From humble beginnings, running the electrical business and Element Centre on South Terrace in Fremantle, Apollo Electrotech have been providing electrical work for over 35 years. Now based in Bibra Lake, Apollo Electrotech offers the full range of electrical services from industrial, commercial and residential design and installation, and maintenance to 24/7 emergency breakdown service. Working alongside their sons, Directors Jack Grego and Sam Maskos, have more than 80 years combined knowledge and experience in the industry. 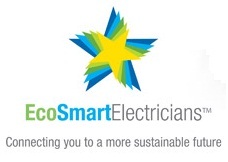 "We've seen a lot in our time, from ceiling lights connected by extension leads and speaker wire to serious installation defects – we're just trying to make homes and businesses safe and functional." Apollo Electrotech keep up-to-date with the latest product releases, and invest heavily in training. We are at the forefront of innovative technologies – implementing Clipsal 'StarServe' Smart wiring solutions, 'C-BUS' automation and energy management system with an emphasis on energy efficiency and sustainability.